The GhanaSat-1―Ghana’s first satellite―began its orbit recently, with a little help from some friends. 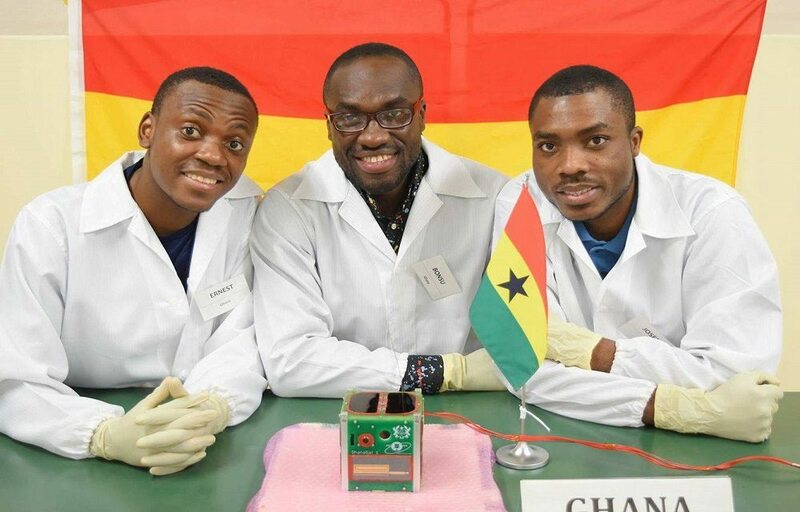 The cubesat, built by a Ghanaian engineering team at All Nations University, was delivered to NASA’s International Space Station in June on a SpaceX rocket that took off from pad 39a at Kennedy Space Center, a NASA spokesperson confirmed. The GhanaSat-1 deployed into orbit from the Center in July, and is now operational, according to project manager Richard Damoah, a Ghanaian professor and assistant research scientist at NASA. “This particular satellite has two missions,” Damoah told TechCrunch. “It has cameras on board for detailed monitoring of the coastlines of Ghana. Then there’s an educational piece―we want to use it to integrate satellite technology into high school curriculum,” he said. GhanaSat-1 will send a signal to a ground station at All Nations University’s Space Systems and Technology Laboratory. That’s where it was developed by a team of engineers that included Benjamin Bonsu, Ernest Teye Matey, and Joseph Quansah. While Ghana’s president Nana Akufo-Addo applauded the launch and congratulated the team directly, the project did not receive official Ghanaian government support, according to Damoah. Instead, Japan’s national space agency, JAXA, provided the bulk of the resources and training to develop the satellite. The GhanaSat-1 deployment marks increased interest and activity in Africa toward space exploration. Nigeria’s first cubesat launched on the same SpaceX mission. “Several nations, such as South Africa, Nigeria, Kenya and Ethiopia have space agencies. Angola announced its intention to launch a satellite over the coming year,” said Elsie Kanza, Head of Africa at the World Economic Forum.